Samsung is set to launch the Galaxy S9 and the Galaxy S9+ on February 25, a day ahead of MWC 2018, in Barcelona. Ahead of their formal unveiling, both the phones have been subject to near infinite set of leaks and rumors, but now that serial tipster Evan Blass of Venturebeat is out with his take, well, looks like a lot of those leaks and rumors were indeed true. Save some minor technicalities. 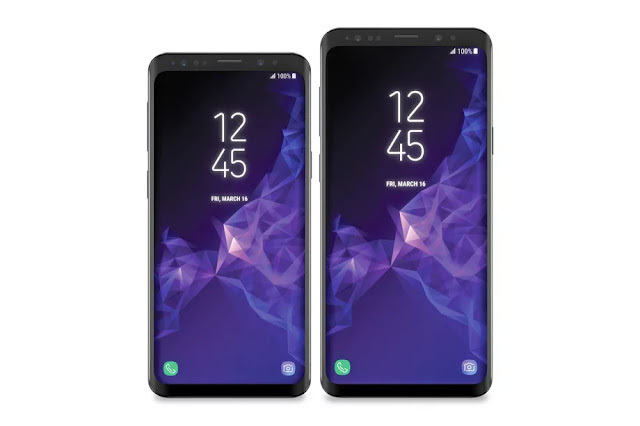 According to Blass, although the Galaxy S9 and the Galaxy S9+, will be incremental upgrades to last year’s Galaxy S8 and the Galaxy S8+ — largely in design and core hardware — both the phones will offer different set of specifications. The Galaxy S9 and the Galaxy S9+ will be incremental upgrades to the Galaxy S8 and the Galaxy S8+ at least as far as design is concerned. Which means, ideally both of them will come with Samsung’s hallmark bezel-less Infinity display and an unusual aspect ratio of 18:9. One change that’s likely making the cut in the new Galaxy S9 and Galaxy S9+ is a repositioned fingerprint scanner. While in the case of the Galaxy S8 and Galaxy S8+, the fingerprint scanner rests in an awkward position next to the camera module, in the Galaxy S9 and Galaxy S9+ it will reportedly be placed below it so that reaching out to it won’t be as frustrating. The Galaxy S9 will further come with a single camera sensor on the rear. It will still shoot dual-pixel 12-megapixel photos – assisted by OIS. This sensor will be able to shoot between f/1.5 and f/2.4 with the former assisting in low light and the latter jumping in when lighting is ideal. A similar setup is also seen in Samsung’s W2018 flip phone that was recently launched in China. The Galaxy S9, furthermore, is also said to include a Super Slo-mo mode something on the lines of what Sony offers in phones like the Xperia XZ Premium.